John Cummins PgDip (Cognitive Behavioural Psychotherapy) Bsc (Psychiatric Nursing) RPN (Nursing Board) CFM Qualified Mindfulness Based Stress Reduction Teacher. 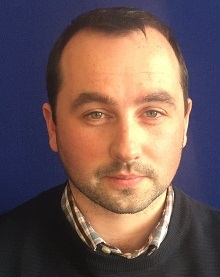 John is a part time lecturer at University College Cork on the mental health nursing programme and also on the postgraduate diploma in cognitive behavioural psychotherapy. Over the last five years he has had a close association with CFMI and CFM Umass where he has provided assistance in the organisation and delivery of their rigorous teacher trainings. John has a special interest in developing mindfulness based stress reduction for healthcare professionals and has taught programmes to nurse managers and allied health professionals. He also has a keen interest in coaching mindfulness with golf athletes as an added tool in achieving peak sporting performance.